David Lester provides a stimulating commentary on McNair Evans’s thought-provoking photographs as they reflect shared experiences within the American cultural landscape. Evans is a Guggenheim fellow and a featured presenter at Conversations 2018. Kevin P. Keefe highlights the outstanding and vivid pastels of artist Stewart Buck. 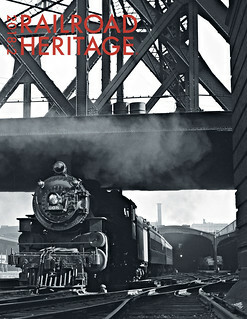 Winners of the 2017 John E. Gruber Creative Photography Awards Program are also presented, featuring the top work in two different categories: “vision from the past” and “by the light of night.” The Center spotlights a new project for next year’s 150th anniversary of the transcontinental railroad called After Promontory: One Hundred and Fifty Years of Transcontinental Railroading. Archives manager Adrienne Evans offers her thoughts on how to understand and use finding aids in her first “Out of the Archives.” Hailey Paige, exhibitions and events coordinator, introduces a new column called “Inside the Exhibition” to give readers an inside look at one of the Center’s current traveling exhibitions. This edition features Milwaukee’s Beer Line. The Center also announces the publication of a new book featuring the photographs of Wallace Abbey entitled Wallace W. Abbey: A Life in Railroad Photography.